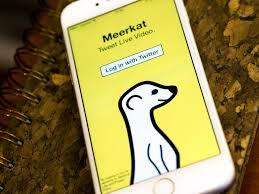 After creating the concept of live streaming from a cell phone to a social media network, Meerkat should be at the top of the live stream market. Unfortunately, with Facebook and Twitter recently jumping on the live streaming concept, Meerkat has become less appealing to users. Many people just don’t see the point of adding an additional social media network to live stream from. After being heralded as the next big thing last summer, Meerkat took some serious hits to their competitive edge. Just because they were the first on the scene of live streaming, did not mean that they were able to maintain their edge when it came to competing with other streaming companies. Once Twitter purchased Periscope and turned this into their own live streaming application, Meerkat started to see problems in their own growth. Now with Facebook’s newly launched live streaming tool, they’re ready to give up on the idea of becoming a leading live streaming network. The problem that Meerkat is currently experiencing is that their market has been flooded by products that are better and more convenient to customers. Rather than trying to continue to compete with Facebook and Twitter, the company has decided to shift their focus. The company recently announced that they will be changing their focus with the idea of making their social media network more private. They are hinting at the idea of live streaming toward more select groups of people such as friends and family members. Businesses should pay close attention to the way that Meerkat is changing its focus as it relates to niche selection. Originally, the company was focused on a unique niche with no competition. Now as the market has been flooded to the point where they cannot compete, they have decided to further narrow their niche in an attempt to gain a unique audience. In many cases, narrowing a niche can be just what a business needs to succeed when they find that a larger niche is flooded with challenging competitors. For a long time, Facebook users have campaigned for completely new ways to express their feelings about a post. Many have been hoping for a long awaited dislike button so that they can express their feelings about a post without having to comment on it. This week Facebook rolled out their new reactions, which allow users to do more than just like a post. 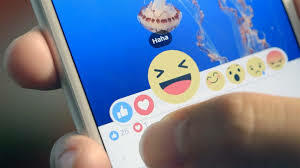 Facebook has left the traditional like button as part of its reactions icon but when you hold down the like button on Facebook you will now see a range of new emoji reactions that can help to express how you feel about the post in a new way. For now, you can only select one of these at a time, but you can change what the reaction is after you have already picked on if you decide another is better. The top three reactions to a given post are the only ones that end up displayed but a more detailed breakdown of how people reacted to each other is available if you click to see. After the new reactions rolled out, there were complaints about them straight away. One of the main criticisms for the new reactions is that there just aren’t enough of them. The majority of the reaction are positive with only two reactions showing negative emotion. Many people would like to have a wider selection of emotions so that they might be able to more easily describe how more complicated posts make them feel. Other complaints focused on the fact that the reactions themselves can be confusing. Some people feel that the anger reaction could be especially confusing since it is hard to say if the reaction is anger targeted at the poster or what the post is about. Facebook has also fallen under critique from advertisers who see the new reactions as something that they could benefit from, if Facebook would just allow them access to the information. For now, Facebook is not using the reactions to differentiate between what types of advertising would be good for the customers. To advertisers this makes it seem like they are missing out since people’s opinions of different things may make it so that they respond differently to advertising. It seems that Facebook has taken a good step toward allowing users to respond in unique new ways, but many users would like to be able to see these reactions expand even further. This step may be only a first step, but Facebook users are at least able to get a bit more control over how they are expressing themselves on Facebook. Users can keep crossing their fingers waiting for that dislike button that they’ve been waiting for. In that battle for the social media industry, some companies are gaining users while others are having difficulties. Recent articles have highlighted Tumblr and looked at the way its numbers have lagged behind competitors. 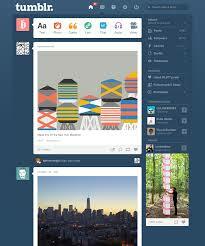 Many have speculated what Tumblr might be doing wrong and what might be able to turn things around. Ever since Tumblr was launched in 2007, business owners and personal users have discovered the site and have used it to share images with friends or customers. While the site no doubt has its benefits, many worry that the website is not gaining users as quickly as its direct competitors. When you look at the rate in which the company has gained new users, it is easy to see that the number of new users is starting to slow significantly. This plateau signals problems for the social media website. The clear focus of Tumblr and the owners of the company is on finding the problem and fixing it. For many, it seems that the flexibility of other websites may be part of the problem. Since Tumblr has a very limited way in which users are able to share content, it is possible that users may be less interested in this website. Tumblr is attempting to fix the potential problem by allowing users to start sharing videos and GIFs as well as adding a messaging aspect to the website. Another problem many point to is the fact that this social media site does not cater to mobile users in the same way as Facebook, Instagram, and Twitter. These social media sites have constructed applications that not only make the sites easy to use on a mobile phone, but actually encourage mobile users to participate and share in unique ways. Facebook extended their own mobile app recently by allowing live videos broadcasted via cell phone. What Tumblr must do from here is find a way in which they can change the company in meaningful ways to make it more attractive. With a low number of new users currently, they should be looking at options to attract more business owners and personal users to the website to communicate in unique ways. It is possible that Tumblr, like Twitter, can expand the way that people use their social media site to help make it more relevant to a larger number of people. Facebook Sports Stadium met its first real test in making it easy to live stream important sports events last Sunday. When the Super Bowl came on, many were ready to test out the newly launched Sports Stadium portion of Facebook. These same people were soon disappointed as the new feature lagged on live updates and wasn’t able to keep up with the game at all. 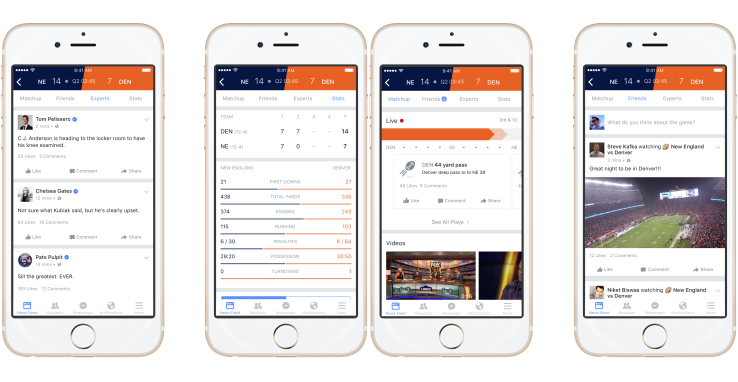 When Facebook launched Sports Stadium in January, the plan was to use this feature as something that would compete well with Twitter during live events. For their first match up, Twitter emerged the clear winner since Facebook’s new feature was unable to keep up with the level of people using it. In some cases, updates were delayed by several minutes or didn’t show up at all. Some people complained, on Twitter no less, about Facebook’s problems with their Sports Stadium feature. With the numbers in after the game, it was clear that an overwhelmingly larger number of people took to Twitter to discuss the game rather than Facebook. Numbers showed that Facebook had even lower numbers of people talking about the Super Bowl than they had the previous year dropping from 65 million people to 60 million people. From this alone, it is clear that Facebook’s Sports Stadium was underwhelming. The numbers are problematic to Facebook, especially as they try to attract advertisers for Super Bowl LI. Despite all of the problems that Facebook’s Sports Stadium had initially, they were able to turn things around during the second half of the football game so that updates actually started flowing as they were meant to. Of course, this was too late for many of the people who had already given up in favor of Twitter as their second screen to watch for information about the game. It is clear from the initial problems that Facebook experienced with their new feature that there are still some tweaks that need to be made to it. No doubt, they will work to repair these problems before the next big game. Hopefully, they will be able to figure out how to handle the levels of visitors heading for the site to prevent the same issues from happening again. Once the feature actually works, it will be easier to see if it can be used to beat out Twitter for live streaming. Facebook started the year off by adding live streaming videos as part of their application on the iPhone. This application allows users to stream what they are currently doing so that all of their Facebook friends can see it. It is similar to other applications for cell phones such as Meerkat and Pariscope, but with the advantage of actually being built into Facebook. They plan to eventually extend the video streaming portion of the application to Android users as well. Facebook’s live streaming feature has some benefits over the previous video streaming applications just because it is built into Facebook. This automatically targets the audience for your live stream by limiting it to the privacy settings that you already have through Facebook. Unlike Twitter’s Pariscope app, there is no need for Facebook users to download any application in addition to their Facebook app to stream live videos. The really convenient feature is that these videos can be saved and put on the Facebook timeline when finished so that people can see the video later. 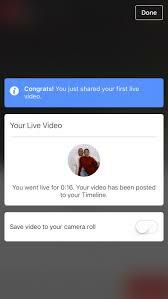 The live streaming feature takes Facebook to a whole new level since users are not only able to interact socially by sharing videos and posts, but by showing live events as well. This will allow people to live stream a baby’s first steps or a proposal happening in the moment. Business owners can even use these live videos to promote their businesses and interact with their network. Those who miss the live broadcast are able to find it later when they log on to Facebook. People can access it like a normal video, watching it more than once if they choose. During the live stream, the person who streams the video will be able to see how many people are viewing the video and will be able to see comments as they are made. You can stream for just a short burst or a longer period of time through your phone. You can either use the rear facing or front facing camera to record making it easy to show anything that is going on. Friends on Facebook can interact while you film so you can answer questions live during the stream as well. In case there was any doubt that Facebook’s new video streaming is a hit, it is clear that this has been successful purely because of rising stock prices and viral news about some of the videos that have been streamed live. Facebook has managed to create a video streaming application that competes with those from other sites because of its definite benefits over them. Although it took a while for this feature to become available, Facebook users can now discover this new way of communicating with each other. 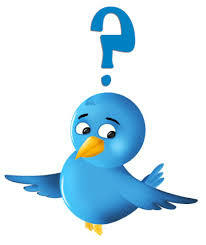 Is it Possible There Are Too Many Changes Being Made to Twitter? Recently Twitter has seen a whole host of changes both inside the company structure and on the website as a result of a massive drop in stock value. Investors started bailing because they were not seeing the level of growth that has been going on in other social media sites. With all of the changes being made to the platform and the people in charge of Twitter, one of the problems that many users are now experiencing is confusion due to way too many changes being made all at once. In the last few months, there have been several major changes to Twitter as the social media site has been trying to redefine themselves. One main change was the order of the timeline with Twitter’s new Moments which shows tweets tied to specific events and news stories. Another shift was from favorited tweets to “likes” much like Facebook. Rumor has it that the newest change will alter the character limit from the 140 character limit to a much higher number. All of these changes have come as major shocks to experienced Twitter users who are accustomed to the old way that Twitter was organized. Some users have become less fond of the site since they suddenly find it confusing and difficult to use. The changes that have been made to Twitter thus far seem to be causing Twitter to lose some of what makes it Twitter. There isn’t the same easy to use system as can be seen in other social media sites since Twitter keeps changing multiple parts of the website. One of the big problems with this is that new users have trouble distinguishing between all of the different features. When they go on Twitter, it takes time to slowly learn how you are supposed to do almost anything. When they do something the wrong way, they receive corrections from other users that may further complicate the whole thing. Without being able to easily just use the site without looking up how to do every little thing, new users stop wanting to be users at all. With the drop in stock prices it is clear that Twitter needs big changes and it has been getting them. The problem is that these changes are coming so fast and in such a confusing way that old users and new users are being dissuaded from being users at all. The many changes to at the executive level and within the website itself seems to be resulting in a confusing mess that is just too difficult for your average internet user to decipher. If Twitter can’t get its social network on par with others like Facebook, there is no hope for the future of this social media network. When it comes to social media, Twitter has always been the place that people go to if they want to watch their friends and the rest of the world react live to a sports game that is in progress. Twitter has made it easy for people to talk about sports and see tweets about the game just because of the way that it organizes tweets and displays them. No other social media outlet has found a way to challenge them. Until now. Facebook just launched Sports Stadium, a place where people will be able to keep track of game stats, current plays, friends’ reactions, and even expert commentary. Facebook’s new Sports Stadium will be divided into four tabs so that people will be able to look at the specific information that they are most interested in. The first tab of the Hub shows the information about the game including the score, most recent play, and videos that relate to the game. The second tab shows what friends are posting about the game allowing users to engage in the conversation already in progress. The third tab shows expert commentary from different sports commentators and players. The final tab has statistics from the game. All together the new Sports Stadium makes it so that Facebook users are able to engage in the game as they might not have previously been able to. 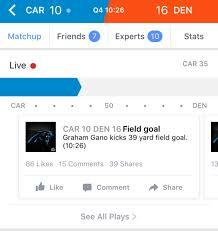 The goal of this new Facebook feature is to allow friends to sit and watch a game together even when they are spread across the country. It allows people to connect over a sports game in a similar way that Twitter does. The feature is being launching for iPhone users this week ahead of the NFL playoff games. It will be available on computers as well before the Super Bowl. The new feature is competitive with Twitter as it allows real time communication about sports. Users don’t have to search for a specific hashtag as they might need to in the Twitter platform since Facebook has the game information already grouped and ready for them to begin looking at it right away. The feature is certain to benefit Facebook as it will draw more advertisers and commentators to the website as more users become interested in the feature. For a long while, something that remained unique to Twitter and no other social media site was the length of the posts a person could make. Unlike Facebook and other social media sites, Twitter has maintained at 140 character limit for every tweet on its site. While some different applications allowed users to extend the limit, the limit offered within Twitter was still kept at 140 characters overall. Now there is talk that all of this might be changing. The Chief Executive of Twitter posted a message suggesting that Twitter will be altering its limit to a much larger number of characters. In the message, he states that at the beginning the intention was not to limit Twitter users to a specific number of characters and that this came about to make it possible to fit a Tweet within the length of a SMS message. Since so many changes have been made since the site’s launch, it seems practical for the character limit to be extended. One of the main reasons that Twitter is considering this change is because users have been finding other ways to extend their character limits. Users can do this by using specific applications on their phones or by screenshotting a larger body of text to post as a picture. This suggests that users want to be able to post longer messages on Twitter. Twitter’s approach to these workarounds seems to be that it is better to join them than to fight them. Many users are worried about the idea of longer character limits within Twitter. They feel that this will change the social media site and shift the focus from short messages and quick conversations between individuals. Others argue that there is no problem with changing the limit and in fact this would be beneficial in many ways. Screenshot text is not searchable or highlightable which can make it more challenging for it to be used within the Twitter medium. Changing the limit for text would allow more text on Twitter that could be searched and used in conversation. Additionally, Twitter would continue to show only the first 140 characters of a tweet to keep Twitter feeds from being filled with large pieces of text. Changing the limit on characters is definitely beneficial to Twitter itself since this will allow users to actually post what they want to on their Twitter feed. Twitter won’t have to deal with people sharing links to full stories which cause people to leave their site to learn more. Extending the length of a Tweet beyond 140 characters is likely to allow this social media site to grow and change in new and unprecedented ways. One of the problems that social media sites often face is where to draw the line between free speech and hate speech. Social media companies like Facebook and Twitter seek to give everyone a voice regardless of the opinions that they might have. The main problem with this is that some of the speech can affect others poorly and make them feel unwelcome when it comes to speaking out on their own. Twitter decided recently to make updates to its hate speech policy after the terrorist attacks on Paris and the range of opinions being aired about the Syrian refugees on Twitter. They took the time to put the rules surrounding hate speech into different words. One of the main changes to the writing of the policy states that people on Twitter cannot promote violence against anyone on the basis of race, ethnicity, religion, age, disability, sexual orientation, national origin, or gender. When Twitter finds accounts and posts that go against their rules they may react in one of several different ways. They can lock the account for a certain amount of time forcing users to wait before they are able to access their Twitter account again. Users may also be asked to delete specific posts that do not follow Twitter rules. In addition to these changes, Twitter is putting more policies in place to prevent users from creating multiple accounts so that they are able to switch to a different account to continue spreading hateful messages. The goal of these changes is to hopefully stop the spread of hateful messages by both terrorists and other people. Twitter is especially concerned with shutting down terrorist accounts which promote violence toward others openly and seek to recruit new members. 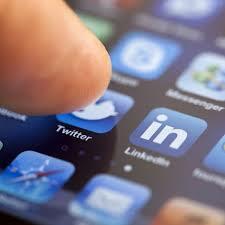 The social media site hopes that new policies might help them to reign in terrorist recruiting through Twitter. 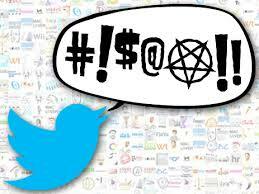 Already, changes to the rules regarding hate speech have come under attack by Twitter users. Some say that it is one thing for Twitter to make changes to the rules and another entirely for them to actually follow through with enforcing these changes. There is some worry that they will not have the people they need to really look at each tweet to sort through ones that are hateful. Twitter is addressing some of these issues by extending the size of their team and giving users tools to report abuse more easily. One of the great features of Facebook has always been the way that you can look back on the past year and reflect on the different things that have happened. Their “Year in Review” feature selects some of the different photos that a user has posted over the last year to compile a review of the entire year individual to each user. This feature allows users to easily put together a review of their year and display it for all of their friends to see. In the past, Facebook received complaints about the pictures that were selected for the “Year in Review” since many of these pictures brought back unhappy memories for those who looked at them. People who were using the feature to put together a fun review of the year, felt that these pictures really ruined the experience for them. They didn’t want to remember some of the memories that Facebook brought up for them. One father even wrote about the feature in a blog, speaking out about the “inadvertent algorithmic cruelty.” His main complaint was that there was no way to opt out of making a review and each time he went on his Facebook page, there would be a message that popped up asking him to make one. He had experienced a challenging year after losing his daughter and was frustrated that pictures of her kept popping up each time he went on Facebook as part of the message asking him to create a “Year in Review”. 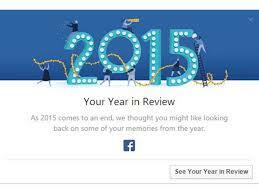 In a response to the critique of the 2014 “Year in Review”, Facebook decided to change the way that the “Year in Review” for 2015 is put together. This year there are new filters that have been applied to the system to help it chose 10 photos that captured the year in a happier light. These filter out any pictures that your exes or people with memorialized accounts are tagged in to avoid bringing up bad memories. If you still don’t like the way that the “Year in Review” looks, there are easy features that allow you to edit out pictures that you don’t want and to select new photos.